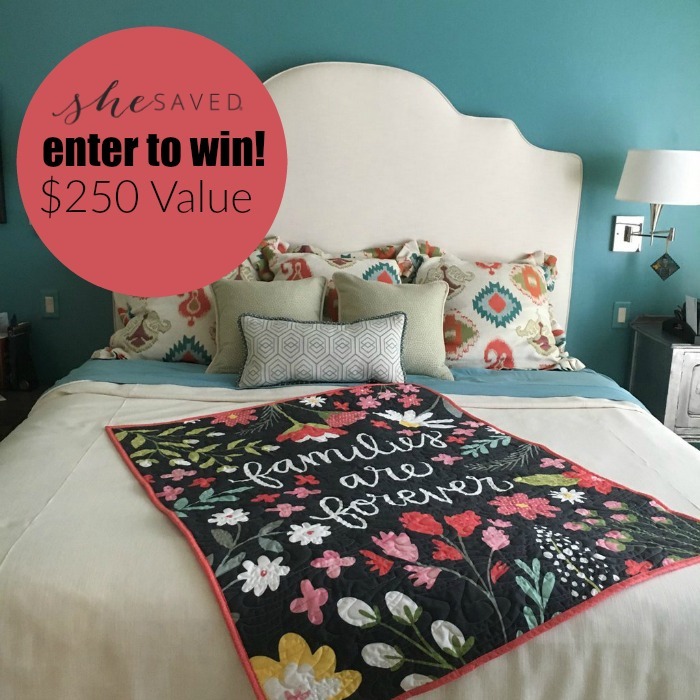 I shared this product with you last spring, and I wanted to share it with you again because they have offered me the opportunity to not only share an amazing coupon code with all of you, but ANOTHER giveaway (Congrats to reader Lisa for winning the last one!) for one of these amazing quilts. I think that these quilts make fantastic gifts, so I wanted to share some of their quilt collections with you. Keep in mind, ALL of their quilts and be customized and personalized! 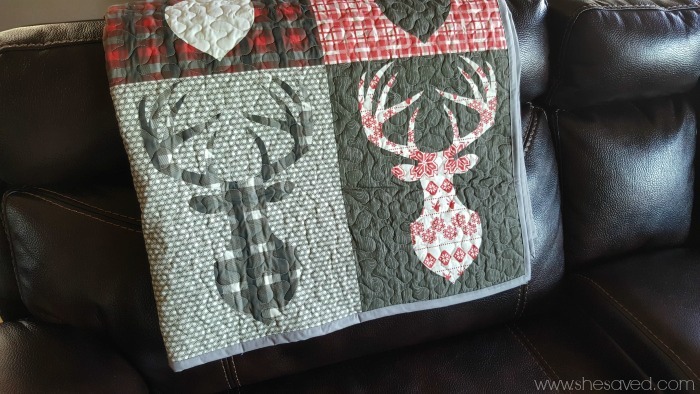 I love the idea of having a Christmas themed quilt. It adds so much to the festiveness of your decor and what a wonderful item to pull out each year. I think that my favorite is the Let it Snow quilt, but they have several other Holiday Quilts to choose from! I love this collection of quilts and what an amazing gift to give a family. 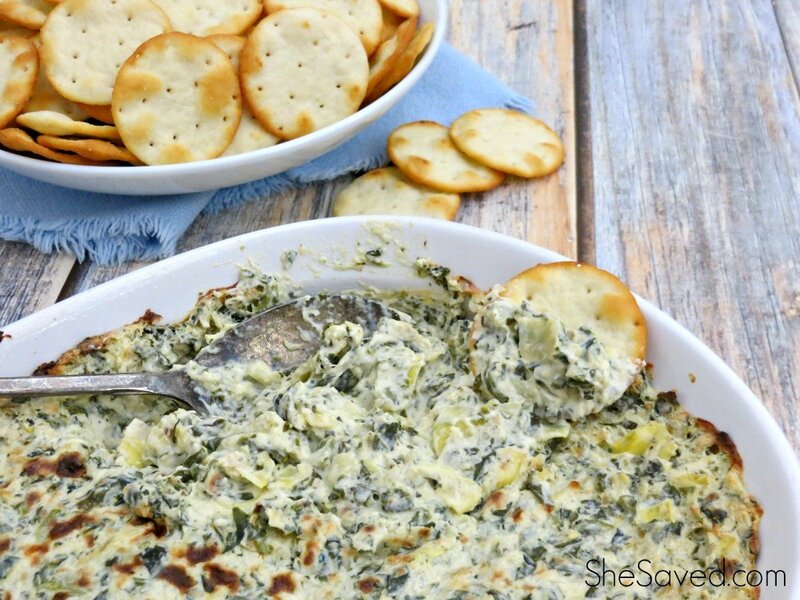 Perfect for movie night or even just for home decor. The “Families are Forever” quilt is one of my favorites. See the entire Stitched Family Quilt Collection here. Sometimes it’s hard to find just the right gift for the man in your life, but this line of Stitched Quilts for Men is great for hunters and sportsman, great for young outdoorsmen as well! 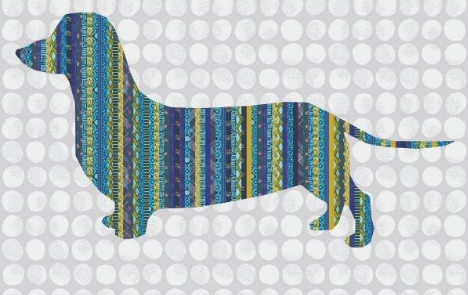 Lots of dog breeds to choose from, these Quilts for Dog Lovers are so fantastic, and what a great gift for that special dog lover in your life! 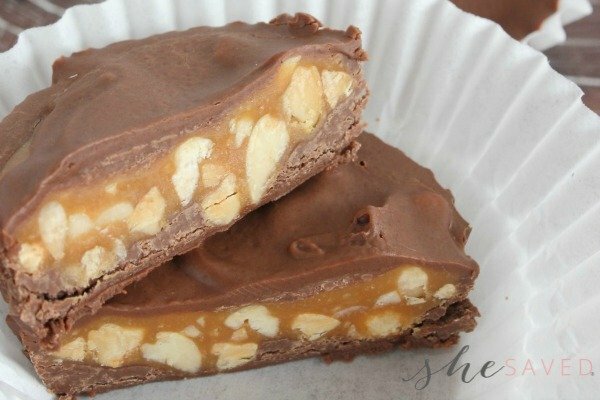 I love that these can also be customized, such a great gift! Stitched has a HUGE and wonderful selection of quilts for babies and toddlers. I can’t think of a better gift, and what a wonderful way to complete a nursery! So many cute customized designs for your little one, see them all here. 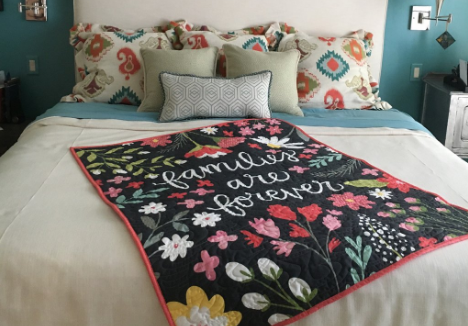 The one thing that I love most about these quilts is that they add so much to your decor and what a practical gift! I love their Quilts with Sayings Line, and I can’t think of a mom (or grandmother) who wouldn’t love any of these! I discovered STITCHED while I was traveling. I met the owner of the company and was so impressed with their story. Stitched offers custom quilts that YOU can design in minutes with their software (or just select a pre-designed quilt) and then, after you design your quilt, it will be handmade in the USA and sent to you within 7-10 days! 1) You can customize your quilt design or order the default design. Your customization can be as simple as changing out the text, or as complete as changing the color of every fabric in the whole design – it’s completely up to you, so you can get exactly the quilt you want.Go here to see the entire selection. 2) Stitched will digitally print your quilt design using their state of the art digital textile printer on our color-fast cotton poplin fabric. 3) U.S.-based quilters will machine quilt your design using Hobbs batting (the soft stuff in the middle of quilts), and super soft Cuddle minky fabric on the back of the quilt. (Minky has been called one of the “softest fabrics in the world”). 4) Enjoy your beautiful, made to order custom quilt. They will ship your finished quilt from their facility within 7 business days, and it should arrive on your doorstep within 10 business days ready for you or your loved ones to enjoy. Isn’t is gorgeous? He loves it and I love how wonderful it looks in our home. Score $20 off your order instantly just by signing up for the Stitched Newsletter on the STITCHED site! And now for the VERY best part… ONE lucky She Saved reader (US Only please and sorry) will win a $250 gift card to spend on the STITCHED site! I will leave this giveaway open until December 10th, 2016 … once closed, I will select one winner who will have 48 hours to contact me to claim their prize! GOOD LUCK!! « My Time Hanging Out in the MIDDLE of the STUCK IN THE MIDDLE Cast! Beautiful!! Love the family one! 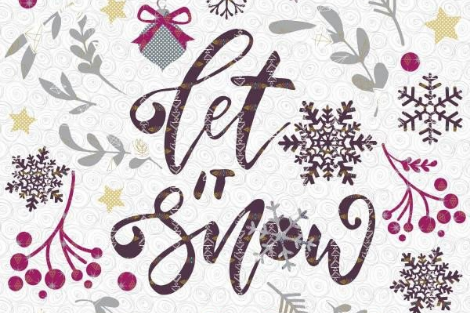 The Let It Snow is beautiful! One of my favorites is the Blue Ridge Trees quilt. I would SO love to have that as a wall hanging in our bedroom. 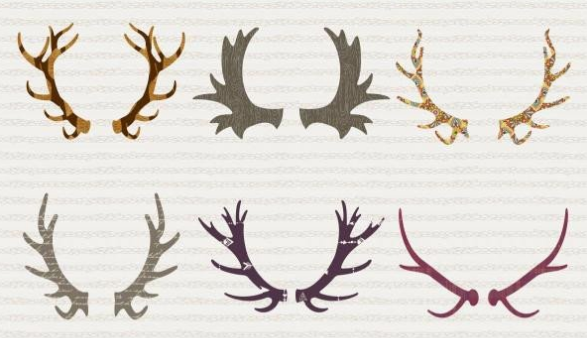 I’m also liking the Wild Critters quilt; my daughter would think that was neat. I like the Geometric Lattice Pattern on Point Quilt. Their quilts are gorgeous.I like the Big Bear or the Custom Saying Quilt in navy. The Starburst Geometric Quilt is my favorite! Beautiful pieces. My favorite is the I Spy a Dinosaur - Dinosaurs Quilt.